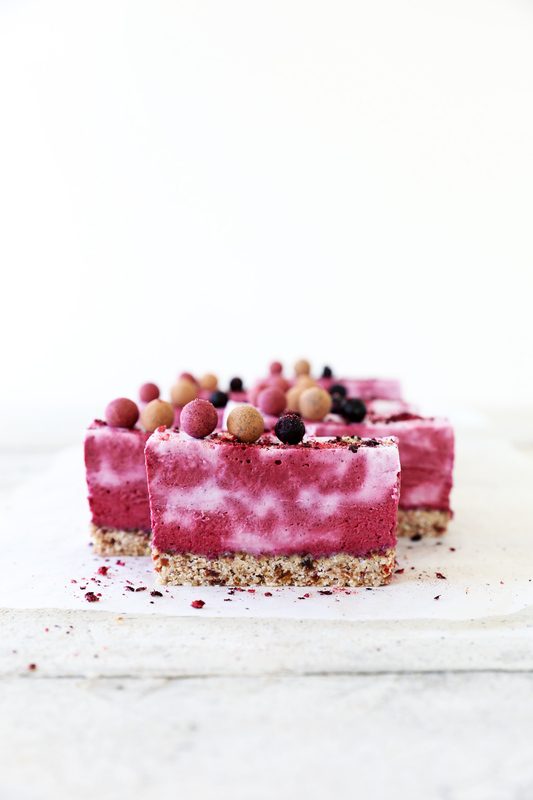 This raw blackcurrant and coconut ice cream slice reminds me of the berry ripple ice creams we used to have a kids. 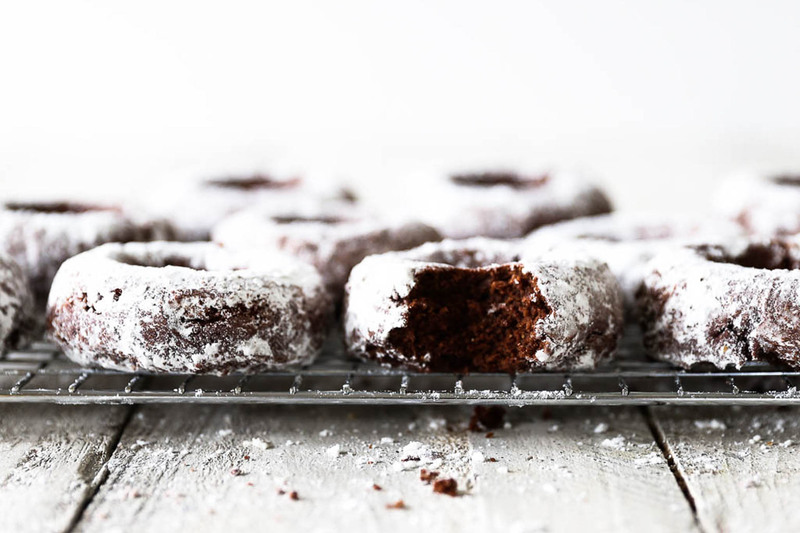 Of course this version is dairy, gluten and refined sugar free, and packed with a whole lot of beneficial nutrients! A nut free raw dessert has been on my creation list for a while as I know not everyone can tolerate nuts. Plus, sometimes a nut based raw dessert can feel a little heavy, especially in warmer weather. However, there’s a reason most raw desserts are created from a base of cashew nuts. 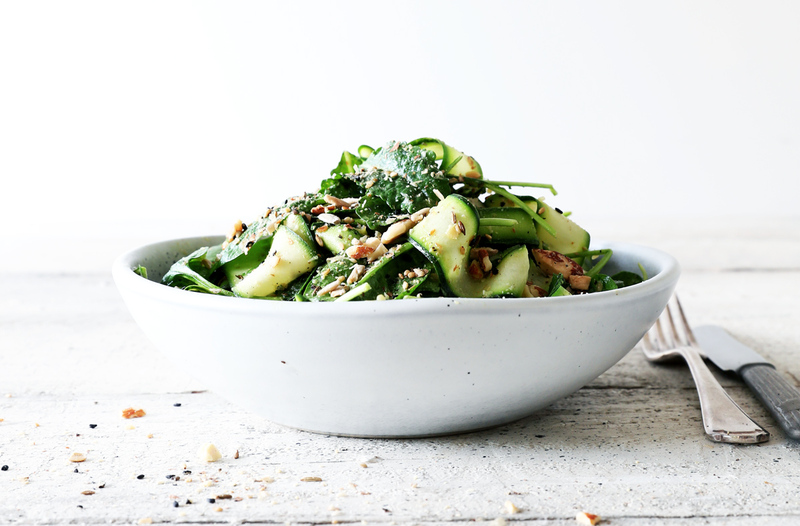 Soaked cashews create the perfect creamy filling and have a mild flavour that combines with almost anything. Fresh young coconut flesh is another great ingredient for creating beautiful creamy raw desserts. However, sourcing and opening fresh coconuts is not the easiest thing and can put the majority of people off a recipe. Not to mention the last time I opened a fresh coconut, I broke my tool and discovered it wasn’t a fresh young coconut after all. It had hardly any flesh and the water was a strange pink colour. (If anyone knows where to source good young coconuts in NZ please let me know!). 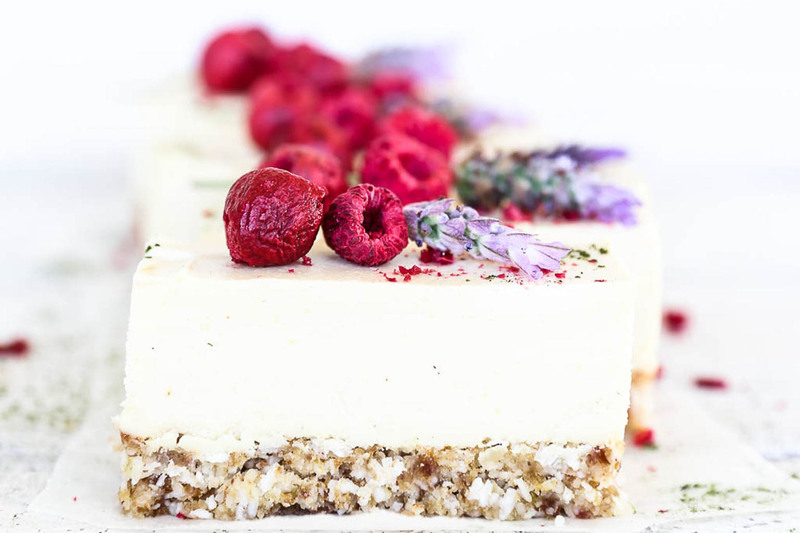 So in order to make a raw dessert without young coconut flesh, cashews, or any nuts for that matter, it becomes a balancing act to get the right consistency. Too much water and you end up with a very icy, hard dessert. Too much fat creates an almost chalky texture, and too much sugar can result in it not setting. We now have a freezer full of semi-edible blackcurrant desserts, BUT I did eventually find a winning combination. The ice cream filling is made from a base of coconut milk. Blackcurrant powder gives it a vibrant purple colour, tangy berry flavour and also serves to thicken it. Coconut oil and cacao butter are the setting agents. 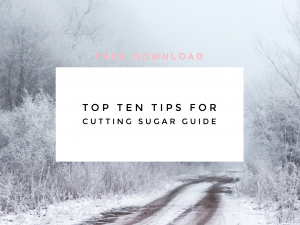 I used rice syrup to sweeten it, but for a sweeter dessert you can also use pure maple syrup or raw honey. The sweetener also serves to soften the ice cream and make it less icy. I chose blackcurrants for the flavour of this ice cream because they’re packed with two of natures most powerful antioxidants: vitamin C and anthocyanins. The latter are responsible for their purple colour. Antioxidants help protect your cells from the harmful effects of free radicals, and have many many health benefits (just hit up google for a full list!). That said, you could equally use any freeze dried fruit powder for this dessert, and get an equally delicious result. or @swoonfood on facebook, so I can come and admire them. Enjoy! Prepare a small loaf tin approximately 10cm x 25cm loaf tin by lining with a double layer of cling film. To gently melt the coconut oil place in a heat proof bowl set over a pan of steaming water with the heat turned off. This ensures it doesn’t go above 46ºC and remains in it’s raw state. To prepare the base, place the coconut and seeds in a food processor and blend until they resemble breadcrumbs. Add the rice syrup and coconut oil and blend until well combined. Press the base mixture evenly into the bottom of the prepared tin. Place the tin in the freezer to chill. To make the filling, gently melt the coconut oil and cacao butter as per the instructions above. Place all the ingredients and 10g of the blackcurrant powder into a high speed blender. Blend until well combined. Pour half the mixture into the prepared tin. Add the remaining blackcurrant powder to the remaining mixture and blend to combine. Pour the darker blackcurrant layer into the tin in a swirly fashion, then use a spoon to fold it in further and create a swirly design. Note, if you don’t want a two tone dessert simply add all the blackcurrant powder at the beginning. Place the tin into the freezer to set for a minimum of 1 hour or overnight. Remove the slice from the freeze at least half an hour before serving to allow it to come to a nice consistency. Lift the ice cream out of the tin using the overhanging clingfilm, place on a chopping board and peel the clingfilm away from the sides. Warm a large sharp knife under a hot tap and dry well before slicing. Warming the knife ensures you get nice smooth slices. 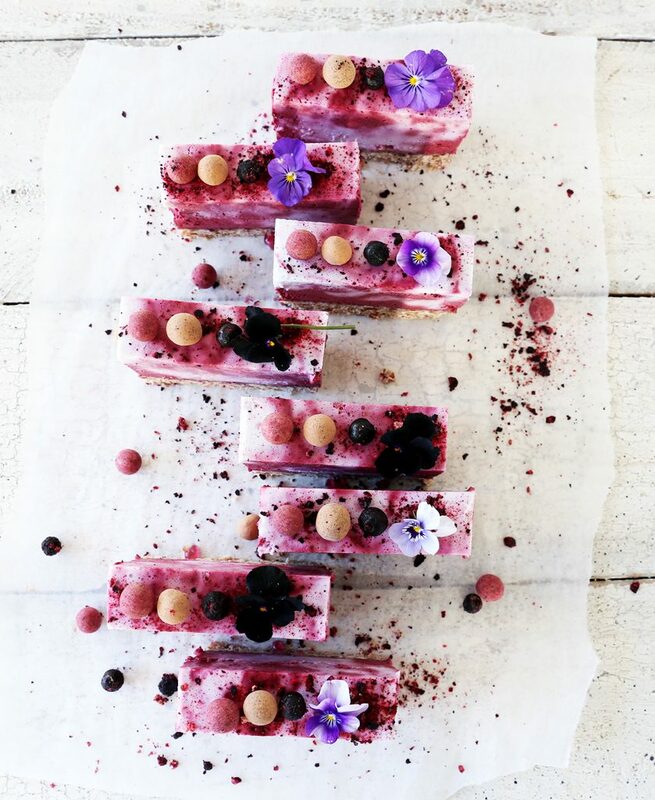 Place ice cream slices on a serving plates and sprinkle with freeze dried blackcurrants and edible flowers if desired. 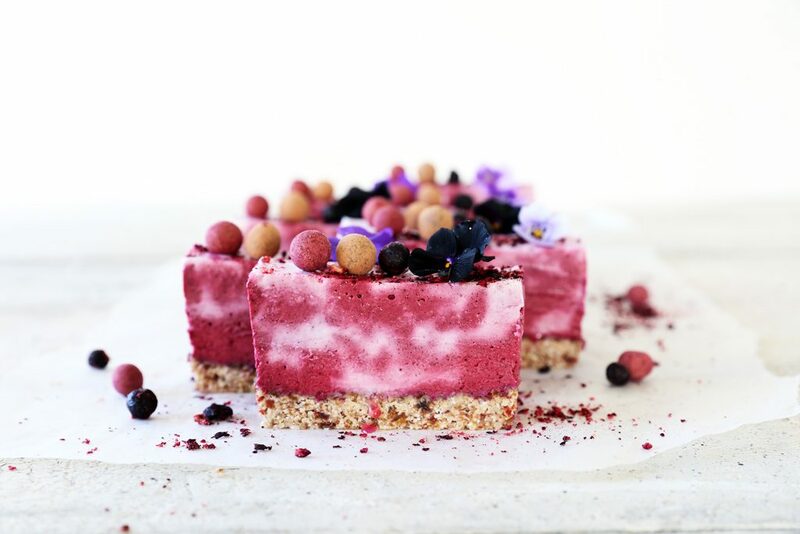 This raw blackcurrant ice cream slice will keep in a sealed container in the freezer for up to 2 months.